Die Musik spiegelt die Natur und Lebensbedingungen in den Anden wider. Im kargen Hochland klingen die Melodien melancholischer als in den grünen Tälern und Regenwaldregionen, wo es eher Anlass zum ausgelassenen Feiern und Tanzen gibt. Gonzalo Vargas, Jose Luis Reynolds und Enrique Coria eröffnen musikalische Ausblicke auf majestätische Gipfel, die von den Indios als Götter (Apus) verehrt werden, lassen uns teilhaben am dörflichen Leben der Aymaras rund um den Titicacasee, entführen uns auf den Karneval von Oruro, dem größten Fest in Bolivien. Wir erfahren einiges über die Aufgabe der Inka-Postboten, den Wert der Vicuña-Wolle und die Unterdrückung der armen Bevölkerung. Window to the Andes is just that, a glimpse into the magic of the Andes mountains (and culture) where music plays a vital role in Andean daily life. Stretching from Cape Horn almost to Panama, the Andes have seen many cultures and conquering races come and goover thousands of years. Home to some of the highest mountain peaks on Earth, the mountains have proven magical, even mystical, to any who are lucky enough to witness them. Long regarded by the people as Gods, or Apus, the mountain spirits believed to dwell within these peaks occupy a very important place among the many Gods worshiped. And, like these spiritually and physically immortal mountains, the music has also proven to be indomitable, and everpresent. The beauty and contrasts of the Andes, from bare highlands to lush valleys to thick jungles, is mirrored in the music. In the highlands, music is more solemn, mystic and sad, reflecting the harshness of life on high. Dedicated to the Aymara culture of the high plateaus of Peru and Bolivia, Herencia Aymara acknowledges the valuable contributions of this rich heritage. En Solidaridad commemorates the working classminers, farmers, and poor peopleof South America who struggle, continuously, against racism and exploitation. Perhaps due to the fact that the milder weather and abundance of products offer a sharp contrast to life in the highlands, life is much easier in the valleys; the music, likewise, is livelier and happier. Influenced by the Moon, Sun, landscape, trees, animals, crops and weather of the Andes, Inkuyos music reflects how strongly Andean daily life, as well as religious beliefs, are connected to nature. 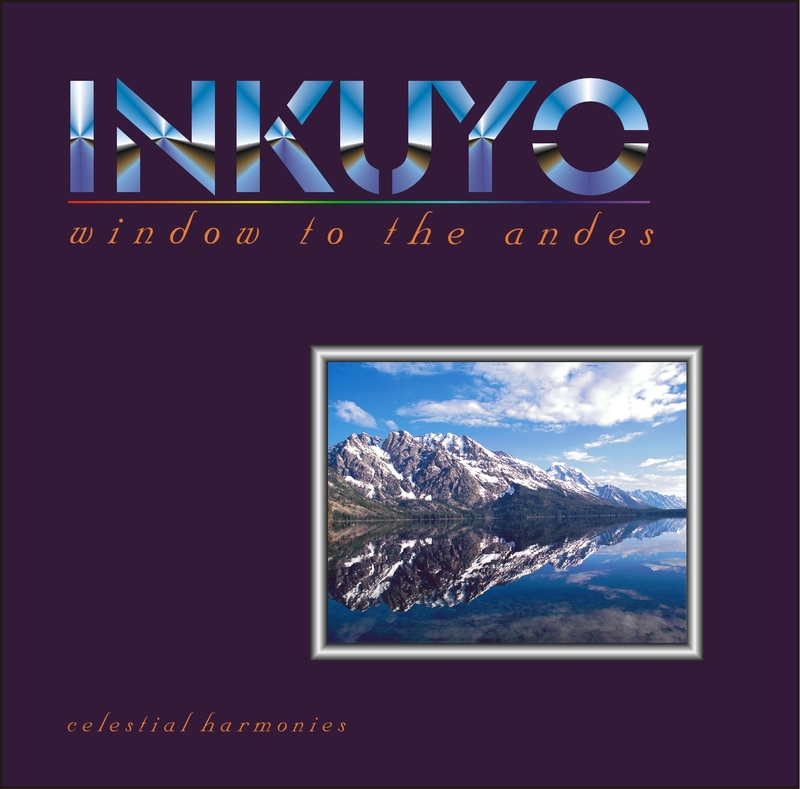 Combining the best of Inkuyo's tradition, Window to the Andes is a perfect fusion of traditional cultural influences with modern compositions resulting in another priceless jewel in the treasure chest of Andean music available today. An internationally recognized virtuoso of panpipes and South American flutes, Inkuyo founder Gonzalo Vargas, inherited his traditional musical knowledge growing up in the remote Andean village of Tapajkari, Bolivia. His desire to perform, study, and teach his ancestral music led him to work with numerous ensembles in his native land. He then played a key role in introducing Andean music to the United States and Canada as one of the founders of Sukay. In creating Inkuyo, Vargas brought together the talents of musicians who are well versed in the Andean musical heritage. For more than three decades, Argentinian guitarist Enrique Coria has been performing classical, folk and dance music from South America. He has played on hundreds of difference recordings with popular groups from Argentina, Chile, Uruguay, Bolivia and the United States. Jose Luis Reynolds, previously appearing as a guest artist, is the newest member of Inkuyo. From Bolivia, Reynolds is a master of the charango, bandurria and tipple. Joining Inkuyo are guest artists Yolanda Andrade with vocals and Fernando de Sanjines on drum and snare drum. 1 Cumbres Andinas (Andean Peaks) 4'19"
2 En Solidaridad (In Solidarity) 5'32"
3 Brisca Tropical (Tropical Breeze) 3'56"
4 Huari Vicuña (Wild Vicuña) 3'08"
5 Maizal (Corn Field) 3'41"
6 Chasqui (Inca Messenger) 3'39"
7 Jacaranda (Jacaranda Tree) 4'13"
8 Sol y Luna (Sun and Moon) 4'19"
9 Condorcito (little Condor) 4'23"
10 Baila Moreno (Dance Moreno) 3'44"
11 Caminos del Inca (Inca Roads) 4'44"
12 Ventana a los Andes (Window to the Andes) 4'05"
13 Herencia Aymara (Aymara Heritage) 3'59"
14 Despedida del Valle (Valley Farewell) 3'54"